T.E.E. has put together all available resources to help electricians obtain their licence and run a successful contracting business. We offer document processing services to help you register for the license state exam, start a contractor business, study and prepare for the license exam and even help operate your business. For electricians we have put together a database of state licensing applications and exam administrator's applications and bulletin information. We also carry books by Electrician Testing, Mike Holt and others in the industry. For contractors or Master Electricians planning to start their own business, we have put together available resources to start and operate an EC business in the state of Texas. We have a wide variety of services that we offer new or current ECs so help operate and manage their business with minimal overhead cost. We know that the majority of the new businesses start from a garage or home office and we are here to back you up and maximize profits while minimizing stress and overhead expense. Give us a call so we can help answer any questions you may have. Texas Electrical Excel is operated by Texas electricians who continuously keep up with Texas laws and administrative policies. We are not related to and we are not representatives of Texas Department of Licensing and Regulation. 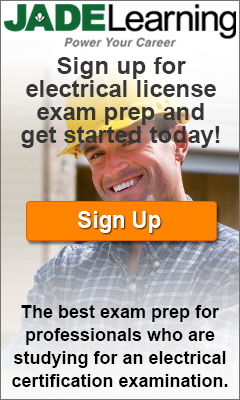 We are electricians helping other electricians advance their electrical careers. T.E.E. is working with Electrician Testing, affiliate of Mike Holt, and a branch of Austin's VA &amp; Texas Electrical Exam, and together we strive to make your career and it's demands as easy as possible. We offer educational and business support to help electricians succeed. We research all other states as well and we have compiled helpful links with the information you need to help you succeed.